There has been a house on the present site of Luton Hoo (Hoo is a Saxon word for spur of the hill) since at least 1601 but the present house dates from the late 18th century when it was the family seat of the 3rd Earl of Bute, the then Prime Minister in the reign of George III. 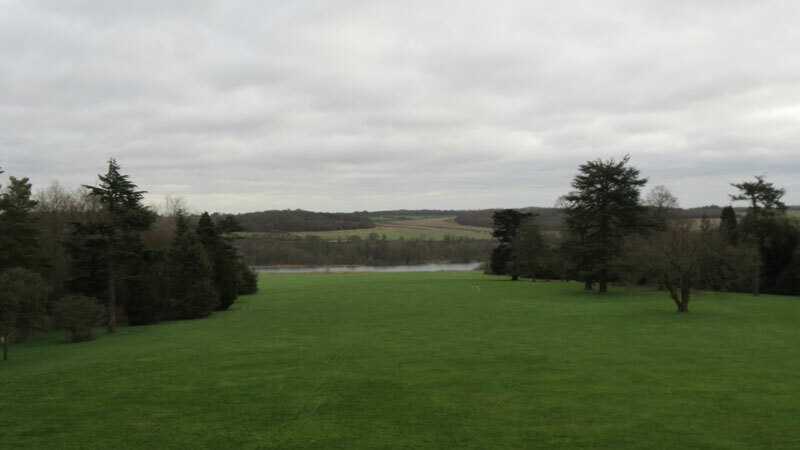 And of course as was de rigueur at this time, Capability Brown was engaged to redesign the surrounding parkland and gardens which extend to over one thousand acres. A hundred years later, the house was purchased by Sir Julius Wernher who had amassed a fortune in the South African diamond mines and was at that time one of the richest men in the world. 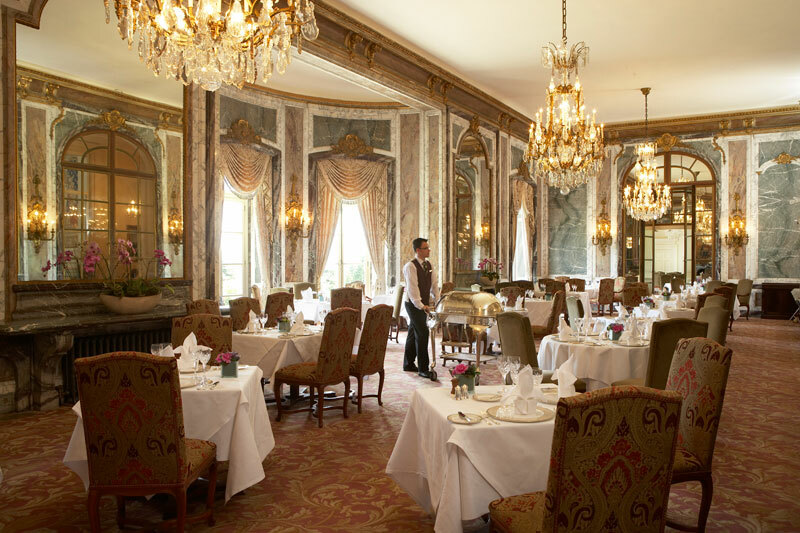 He commissioned Charles Mewes and Arthur Davis, the architects of the Ritz Hotel to redesign the interior of Luton Hoo to reflect the latest Edwardian ‘Belle Epoque’ style and proceeded to fill it with Gothic and Renaissance works of art. The house was first attended by members of our Royal family in 1917 when Sir Julius’s second son, Harold married Anastasia de Torby, known as Zia, great-granddaughter of Tsar Nicholas 1st of Russia and a cousin of Nicholas II, the last Tsar of Russia. Lady Zia was also the great-great granddaughter of the poet Pushkin and her Russian aristocratic father, Grand Duke Michael was related to virtually every royal family in Europe. She brought with her a remarkable collection of Russian art, including the work of the Imperial court jeweller Faberge, which combined with the art collection inherited by Sir Harold did much to define the character of Luton Hoo. The house was the setting for many grand occasions and glittering balls and weekend parties attended by the leading families of Europe and of course Queen Elizabeth and Prince Philip with whom Sir Harold and Lady Zia formed a close friendship. The Queen and Prince Philip spent part of their honeymoon and several subsequent anniversaries as the guests of the Wernhers and Prince Philip was godfather to their grandson, Nicholas, who was later to inherit Luton Hoo. From that time on Wernher weddings were attended by other members of the royal family, including the Queen Mother, Princes Charles, Princess Anne and Prince Edward. However with changing times on the death of Sir Harold in 1973 and Lady Zia in 1977, the estate was inherited by their elder grandson, Nicholas Phillips and his wife who had to find other ways in which to keep the house and grounds and the Wernher art collection maintained. They developed the living accommodation into facilities for corporate functions and Luton Hoo will be familiar to many as the setting for such well-known films or television series, as Four Weddings and a Funeral, Enigma, Eyes Wide Shut, Inspector Morse, Nicholas Nickleby, Vanity Fair and Bleak House and it also took the part of Manderley in the television version of Daphne du Maurier’s, Rebecca. Unfortunately for Nicholas Phillips, their efforts were not enough and after a failed business venture, he took his own life in 1991. He left debts of 23 million pounds which his widow Lucy, an Austrian Countess together with his executors tried to reduce by selling family art treasures and leasing out the house but as we know now the estate was eventually put up for sale in 1997 and finally purchased by Elite Hotels in 1999. However the sale came as a surprise in the light of the unexpected success of some of the countess’s money-raising ventures. One painting, a small Winter Landscape of 1650 by the Dutch artist Aert van der Neer, was sold at auction for 2.3 million pounds when it had been thought it would raise only £700,000. But the biggest asset put up for sale from the collection was a 15th- century Spanish painting by Bartolomeo Bermejo, St Michael Triumphant Over the Devil. 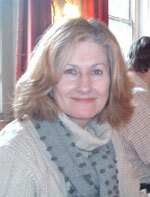 It went to the National Gallery for 10 million pounds, with the help of the National Heritage Memorial Fund. 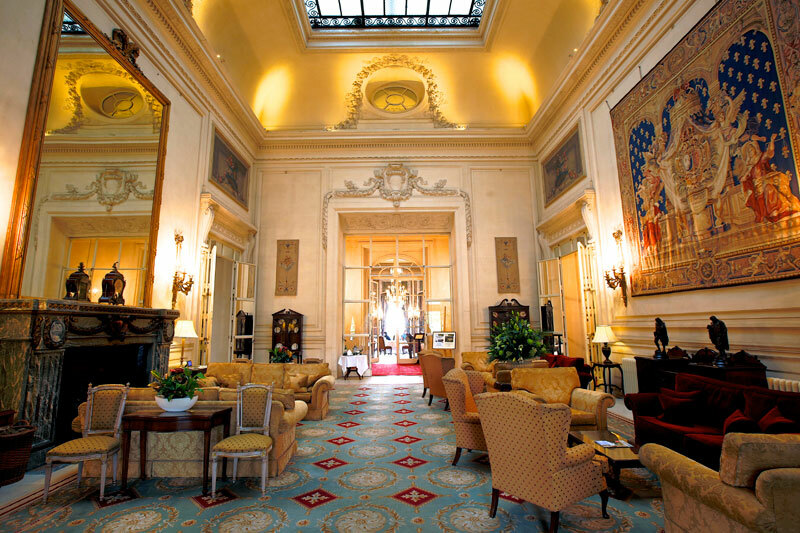 Thankfully the transformation of Luton Hoo into a hotel has been sympathetically carried out with the main state rooms remaining as they were at the turn of the 20th century in their Belle Epoque style. 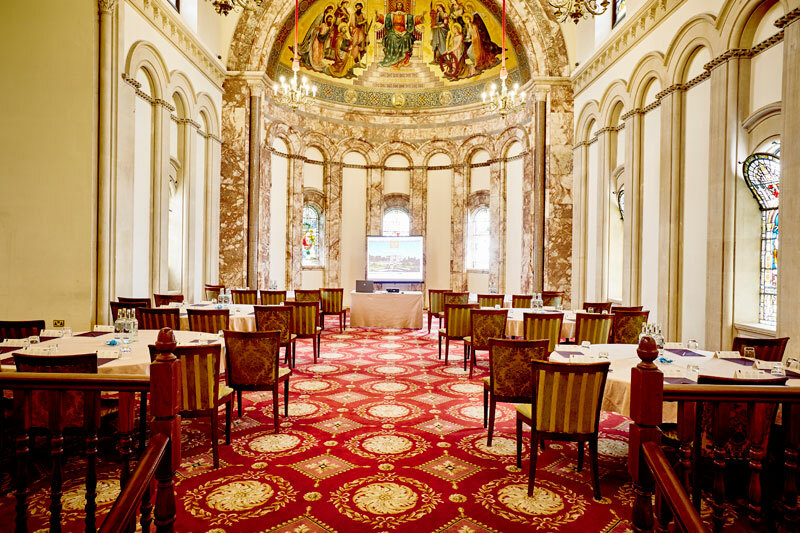 This is particularly evident as one enters the grand hall and in the Wernher Restaurant with its magnificent marble panelled walls. We arrived mid afternoon on a Sunday and whilst we waited to be shown to our room we sat in the reception hall and realised that we were witnessing a continuous coming and going of people arriving for afternnon tea in the stunning Wernher Restaurant which was the original state dining room and were further impressed to observe that people were well dressed for the occasion which sadly is often not the case. 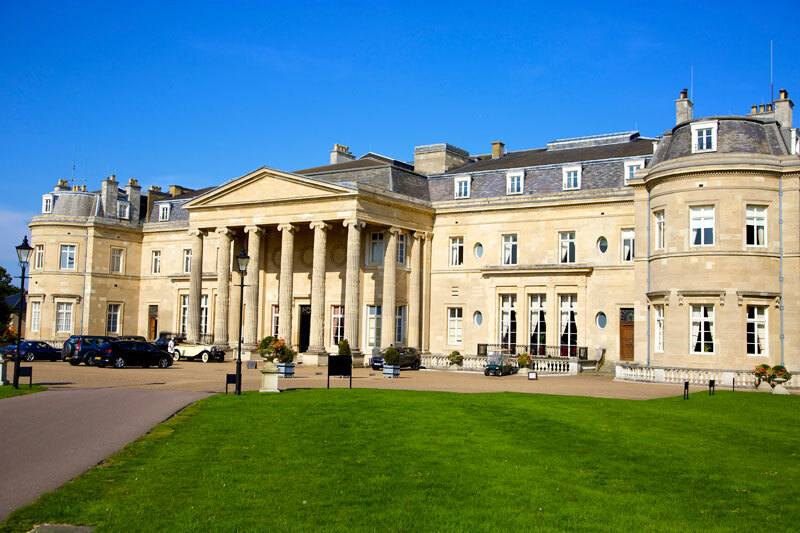 Part of the redevelopment of Luton Hoo into an hotel of one hundred and forty four bedrooms and suites involved the rebuilding of the second floor of the mansion house, which was included in the plans drawn up by the original architects, Mewes and Davies. That explains the eight years it took to open Luton Hoo as a luxury hotel with all the comforts one would expect in the way of warm stylish en suite bathrooms yet with the rooms retaining the air of grandeur of staying in a country house for a weekend party. We were fortunate enough to be staying in one such room. Our lavish suite was formed from part of the rooms that had been used by Queen Elizabeth on her many visits to Luton Hoo, aptly named the Queen Elizabeth State Suite. There are other Mansion State Suites, namely, The Lady Zia and Queen Mary and The Boudoir all with the same breathtaking view of the surrounding parklands, lakes and gardens. Each is authentically styled in keeping with the original decoration found in the house with features such as marble fireplaces, panelled walls and ornate ceilings. During the day at Luton Hoo there is plenty to occupy your time, be it enjoying the extensive grounds and lovely walled garden, a round of golf on the championship course set against Luton Hoo’s lakes and spectacular landscape, tennis courts, jogging trails or clay pigeon shooting. 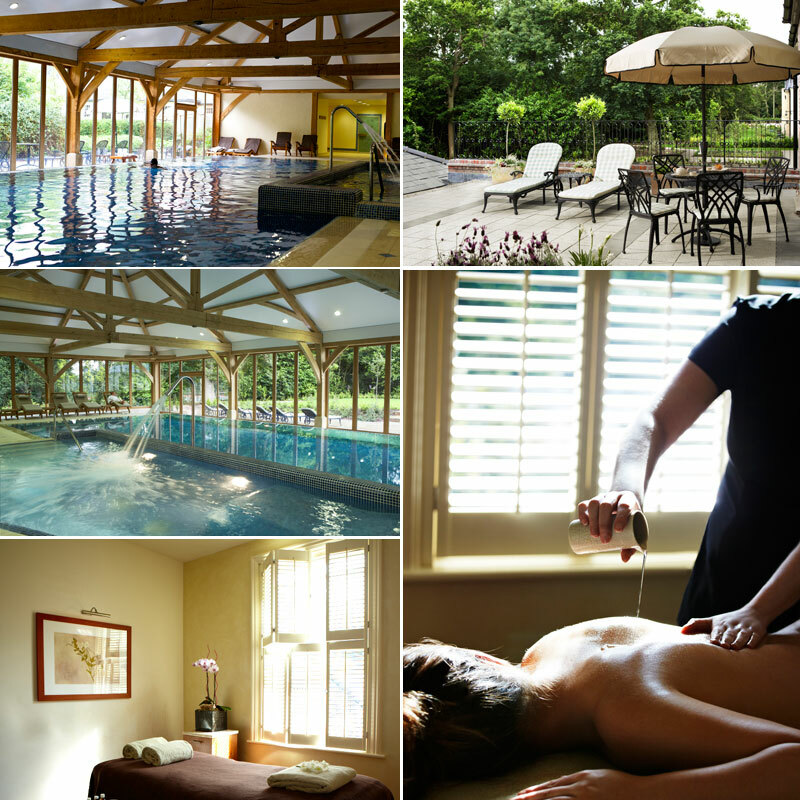 If that is all too energetic than there is the spa with indoor pool, sauna and steam room, followed by a range of beauty treatments in one of the six treatment rooms. 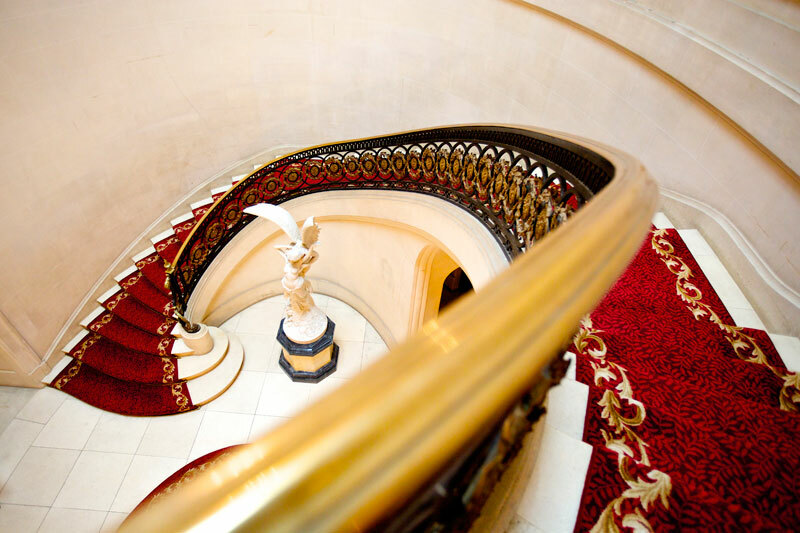 At the end of the day you can emerge from your elegant room and descend the magnificent sweeping staircase to relax in the bar for a pre-dinner glass of champagne or cocktail and finally dine in the spectacular surroundings of the Wernher Restaurant. The food is classic British cuisine which we experienced on a Sunday evening and were expertly aided in our choice of wines by the junior head waiter, Dimitris Champsas, a delightful young man who clearly enjoyed his job. Just out of interest we drank a couple of really delicious South American wines; Casa Lapostolle – Casa Chardonnay from Chile, 2013 and catena Malbec from Argentina again 2013, both complimented out food perfectly. 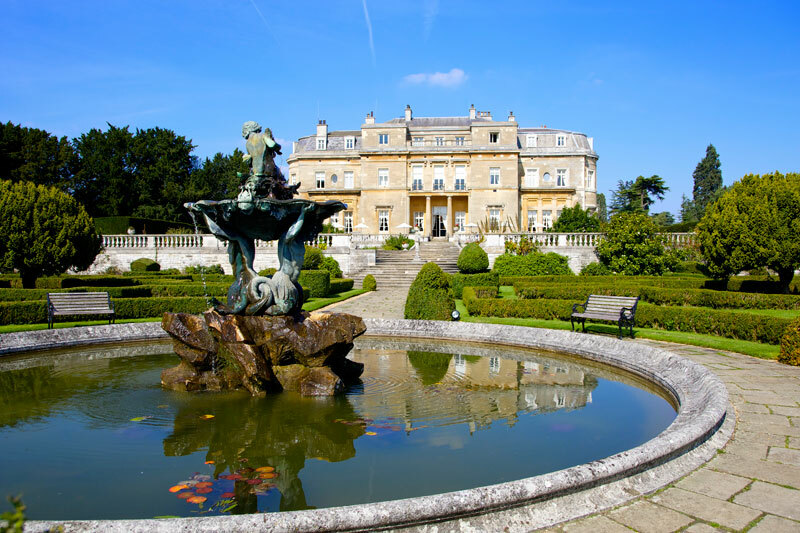 In summary, Luton Hoo Hotel has so much to offer as a place to get away from it all, the setting makes it accessible from London being on the Bedfordshire and Hertfordshire border and was certainly worth the trip for us from Winchester.